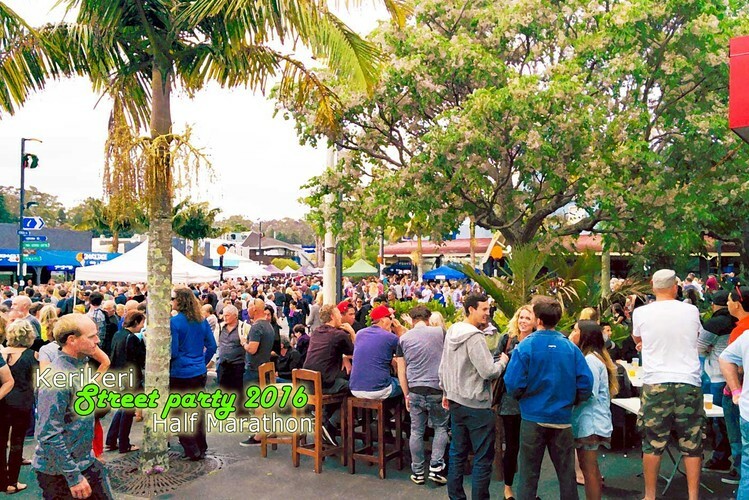 Each year after the popular Kerikeri Half Marathon, the main street celebrates the success of participants by throwing Northland's best street party. The Kerikeri shopping precinct is closed to traffic at each vehicle entrance to the east, west and south. Musicians and foodies start setting up their stalls, lights and sounds speakers are installed into place and the Bay of Islands' most fabulous street party commences at 5pm. And its free for everyone to attend! This year we again have three very different bands playing on each of sound stages set up at each end, and centre of Kerikeri main street. Successful rock band and X-Factor New Zealand finalists 'Brendon Thomas and The Vibes' are up front and centre; popular rock covers band 'Legacy' will again be playing hits and favourites at the south end of the street, whilst the 'Jazz Box' quartet will be entertaining in the 'chill out' zone at the northern end of the street. And of course there will spring-up surprises to keep kids and adults entertained throughout the evening. Local and visitors are welcomed alike for entry to this free event. Sample our Northland wines; graze our wonderful foods our locals produce. Come and dance the night away in the streets of Kerikeri!